The following General Terms and Conditions of Sale govern the offer and sale of products on our web site ("www.missoni.com"). The products purchased on www.missoni.com are directly sold by YOOX ASIA Ltd, with registered offices 2702, 27/F, The Centrium, 60 Wyndham Street, Central, Hong Kong (hereinafter referred to as "the Vendor" or "We" or "Us"). Requests for information should be made through our Customer Care ‎‎Contact Form‎‎. For additional information go to the ‎Customer Care Area‎‎. The Vendor offers products for sale on www.missoni.com and its e-commerce business services are available exclusively to its end users, i.e. the "Consumers". "Consumer" shall mean any individual who is acting for purposes which are outside his or her trade, business or profession. If you are not a Consumer, please do not buy any products on www.missoni.com. These General Terms and Conditions of Sale exclusively regulate the offer, transmission and acceptance of purchase orders relating to products on www.missoni.com between the users of www.missoni.com and YOOX ASIA Ltd. 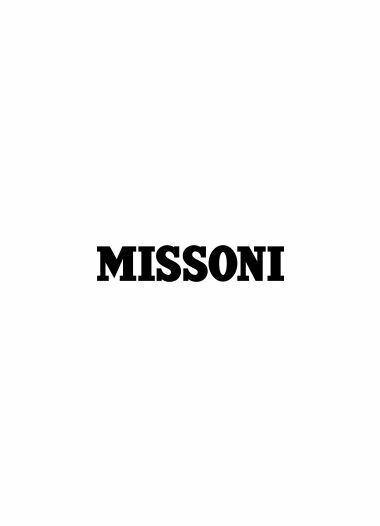 The General Terms and Conditions of Sale do not regulate the supply of services or the sale of products performed by third parties that are on www.missoni.com through links, banners or other hypertext links. Before sending orders and purchasing products and services from those third parties, we recommend that you verify the third party’s terms and conditions, since the Vendor shall under no circumstances be deemed liable for the supply of services provided by third parties or for the execution of e-commerce transactions between users of www.missoni.com and third parties. In order to place an order for the purchase of one or more products on www.missoni.com, you must fill out the online order form and send it electronically to the Vendor, following the relevant instructions. The Vendor may not process purchases when there are not sufficient guarantees of solvency, when orders are incomplete or incorrect, or the products are no longer available. In the above cases, we shall inform you by email that the contract has not been executed and that the Vendor has not carried out your purchase order specifying the reasons thereof. If the products displayed on www.missoni.com are no longer available at the time of your last access and once the Vendor has received your order form, the Vendor shall inform you of the unavailability of the ordered products within thirty (30) days from the day after Vendor received your order. If the order form has been sent and the price has been paid for items that are no longer available, the Vendor will refund the amount paid for those items. By submitting an order form to and making a contract with the Vendor, you unconditionally accept and undertake to observe the provisions of these General Terms and Conditions of Sale. Should you not agree with certain provisions of these General Terms and Conditions of Sale, please do not submit your order form for the purchase of products on www.missoni.com. On www.missoni.com the products sold are exclusively from the brands Missoni, Missoni Mare, MissoniHome and M Missoni, and they are purchased directly from the Vendor via the fashion house and/or from an authorized producer of the fashion house. The main characteristics of products are shown on www.missoni.com on each product page. The products offered for sale on www.missoni.com may not exactly correspond to the real garments in terms of image and colours due to the Internet browser or monitor used. For specific product shipping and delivery procedures see the ‎Customer Care Area‎‎. Please read these sections carefully. The information provided in these sections forms an integral part of these General Terms and Conditions of Sale and, consequently, shall be deemed to be fully read and accepted by you at the time your order form is sent. You may return products purchased from us, without any penalty and without specifying the reason, within thirty (30) days of receiving the products purchased on www.missoni.com. The Vendor highly recommends that you choose a shipping service that permits you to trace the delivery at any time. You are advised to read, if you haven't already done so, our ‎‎General Terms and Conditions of Use‎‎ which also contain important information on how we process the personal data of our users and on the security systems of www.missoni.com. The General Terms and Conditions of Sale may be amended from time to time due to new laws and regulations or other reasons. The new General Terms and Conditions of Sale shall be effective as of the date of publication on www.missoni.com.